The Training and Placement Cell of Panchwati group of institutions is a dynamic body which plays a crucial role in moulding the minds of the students. The PIET Placement Cell helps them to locate suitable jobs for the students graduating from this institution by keeping continuous liaison with reputed Companies and Industrial & Financial Establishments. T & P activities are coordinated by Training & Placement Officer, Assistant Training & Placement Officer and student Coordinator from the five disciplines of study. The T&P Cell will identify the requirements of the companies and negotiate for on-campus or off-campus recruitment drives after providing prolonged or crash training in aptitude, Group discussion and HR& Technical Interview to the students. The T & P Cell ensures and takes care to provide the best arrangements and hospitality for the visiting companies. To arrange and co ordinate Personality Development Programs for students from first year onwards. •To provide best possible training to students to face aptitude tests, GD and HR/Technical interviews prior to recruitment drives. •To invite Company HRs and famous personalities to the campus and organize interactive sessions with the students. • To plan, organize and co ordinate Faculty Development Programs. •To identify talented students and arrange special training and skill development opportunities for them. • To place 100% of the qualified students in reputed companies through campus recruitments. 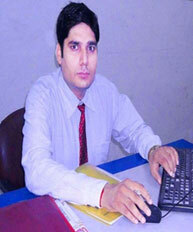 • Provide career guidance programs to help the students to identify their career path. During the beginning of every academic year, Training and Placement Cell organizes placement orientation programmes for its students. Of which, the students get a clear idea about corporate world, lateral thinking & personality development.